If you live and work in Brooklyn as a freelancer and rely on public transportation for getting to work on time, then you know how unreliable and frustrating it can be! Yes, what a needless headache, and not an ideal way to start your day. But there’s an answer to your problem. Why not bike to work? Prosper Gowork, an awesome workspace for busy people on the go, such as the independent contractor, has made it that much more convenient and affordable to cycle to its facility. In addition to the mere $99 a month fee for the use of its beautiful, prime space, with numerous amenities (Wi-Fi, 24-hour access, free coffee, conference rooms, phone booths and meeting pods), Prosper Gowork is installing bike storage for $20 bucks per month at its Bedford Stuyvesant, Brooklyn, location. 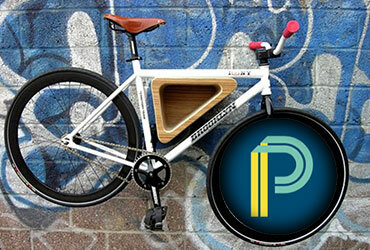 Riding a bike can be a fantastic way to commute to your next gig as it serves many purposes. First, it eliminates the guess work of when your bus or subway, or both, will arrive. All you have to do is figure out how long it will take to get to your destination and leave at the appropriate time. No train delays, bus break downs, or cranky in-your-face commuters. Well, you might encounter some angry drivers, but you’ll be moving fast enough to ignore them! Next, let’s face it: who can’t use a little more daily physical exercise in their life? Pedaling your way on your trusty bike to work is a terrific way to start your day of endless texts, emails, phone calls, and writing or designing. Your heart rate will be elevated for the right reasons this time, you’ll be moving major muscle groups in unison, and you’ll burn those excess calories you didn’t need in the first place. Thirdly, if saving money is something you desire, you’ll be pocketing approximately 120 per month on that MetroCard fee. All your need is a bike pump, helmet, a directional app, and the willingness to enjoy the fresh breeze as it hits your face on a beautiful day. Have you ever watched a dog with its cute little face hanging outside a car window? Well, then you get my point. For more information on Prosper Gowork, log onto https://prospergowork.com/, or call 347-696-6657 and ask for Elena Drakos, the Co-founder and CEO of Prosper Gowork.